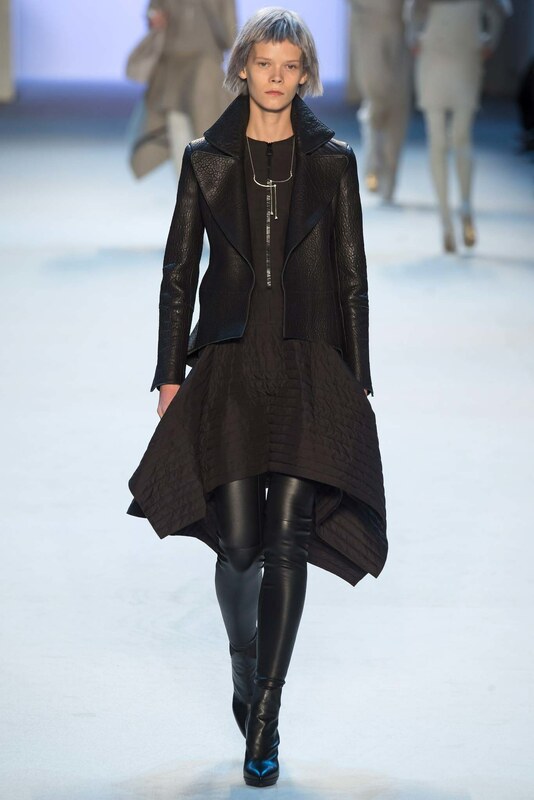 Time for a quick blast from the recent fall winter runway past. A few of my favorite looks, some previously seen, but cool enough for a repeat performance, some new! These beauties have been spotted in the Neiman's, Bergdorf's, and Sak's "magalogs", whilst others are ON THE RACKS, waiting to be pillaged. Flower Power.....happy, kicky, and so de rigueur! I cannot get enough of this other worldly collection. And so far, the price points are fairly "reasonable" given their local comrades on the racks. Red velvet and gold with a well placed slit, elegant and alluring, for the gal with some moxie. Just saw this at Saks, and it was just as spellbinding in person! 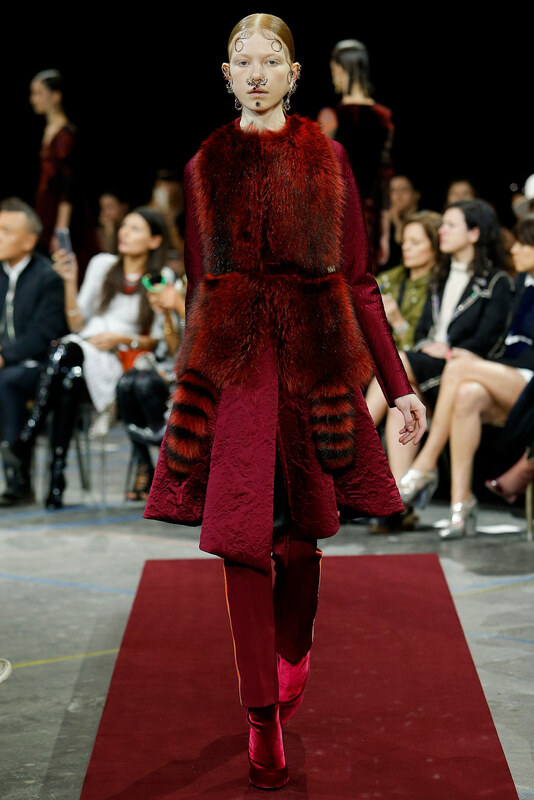 One of my very favorite of the fall winter runways (sans the fox fur.....s h u d d e r). Neiman's will be getting this cloque concoction…….the sumptuous scenery continues with the tonal red velvet pants and boots. 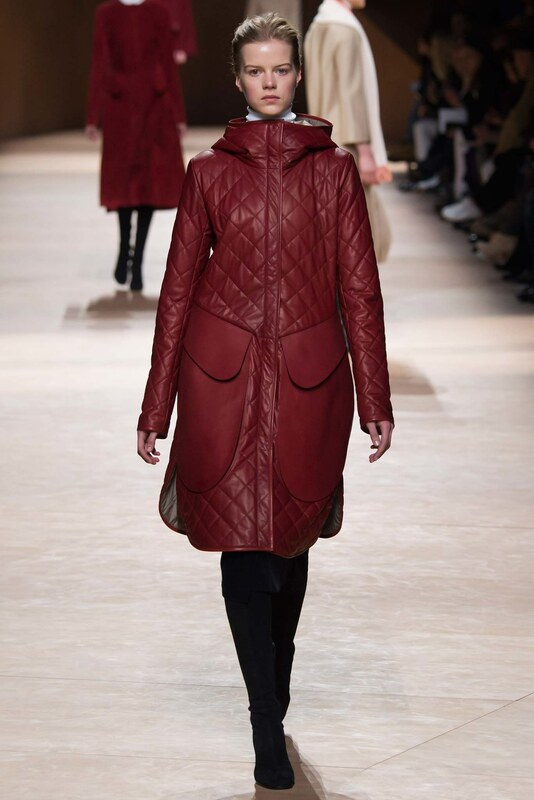 Love the quilted leather…sporty, substantial and chic. Adds cachet to routine weekend attire. 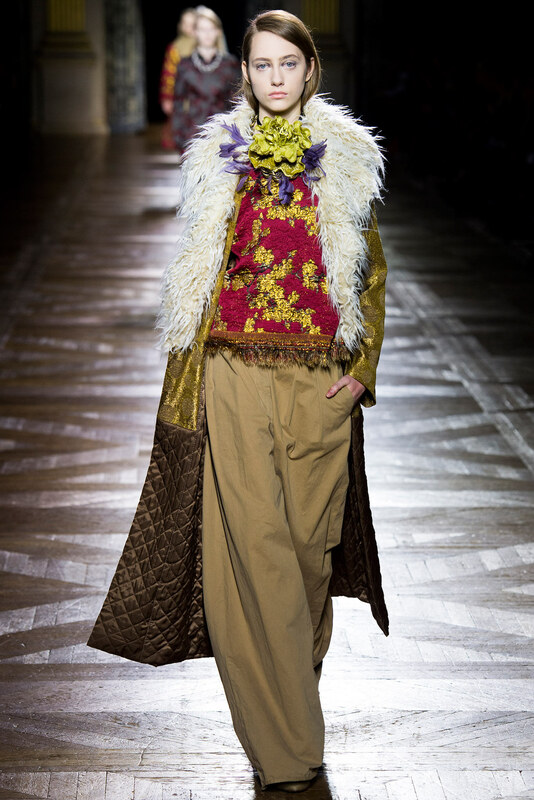 Marras can always be counted on to provide stylish, unique and whimsical ready to wear that you can ACTUALLY WEAR! If you want anything composed of tweed, it must be Chanel. Accept no substitutes! Photos often fall short in capturing the beauty of the sumptuous and intricate multicolor tweeds. And of course the bijoux buttons are more stunning in person. Love the rich burgundy color and flattering silhouette. A dress which could be worn anywhere, from the office to the Opera.....just change up the footwear. Bejeweled Mary Janes or shoe booties. Think Dolce & Gabbana. 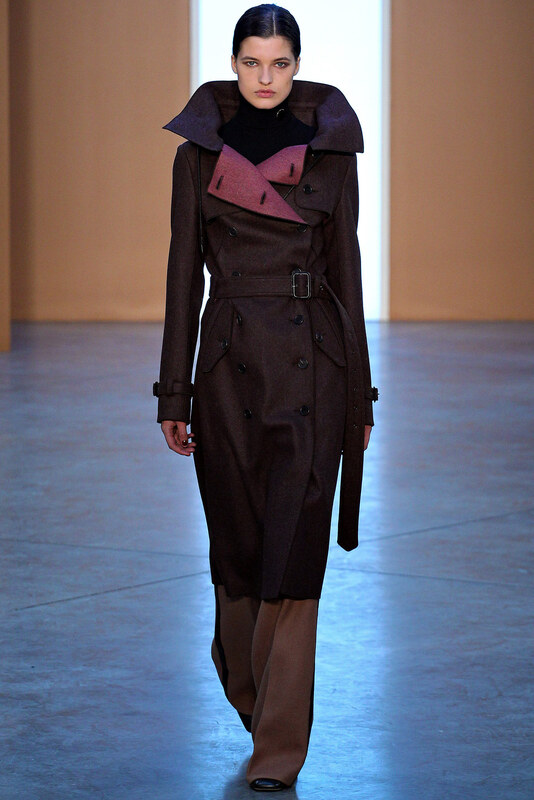 We all need a trench in the daily ready to wear arsenal. Why not raspberry and plum? Feminine but not saccharine, perfect for office attire or hanging with the gals. The raspberry color is quite fetching. Conjures Grace Kelly. 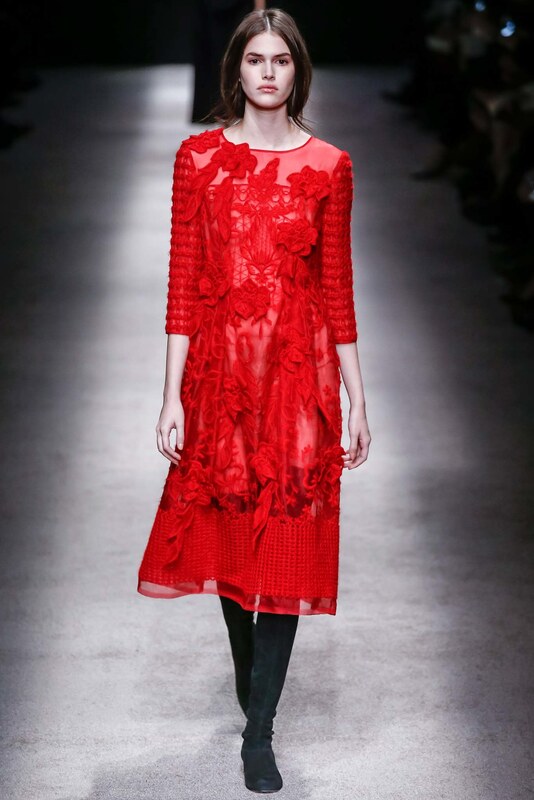 Vintage Valentino what with the cadre of laces in a varied color palette. Well, its Dolce and Gabbana, what more need be said? 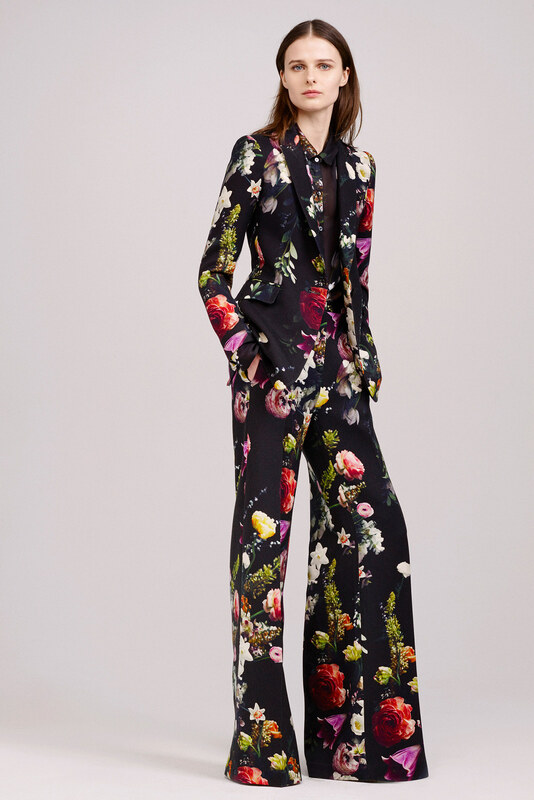 I tried this on at Saks the other day and was drooling the entire time. A vibrant pastel (I know, pink isn't everyone's cup of tea…. ), embroidered roses upon roses and cut out detailing….and of course, these guys never skimp on the shoes! The big bold sweater is in, not for the shrinking wall flower. Fun, fabulous, whimsical….wear with a matching hat. Heh! Victorian saloon attire. Sign me up! Lady like or slightly subversive, its up to the underpinnings. A power powder blue dress. A nice 50's inspired feminine option to the reigning 70's inspired fare. 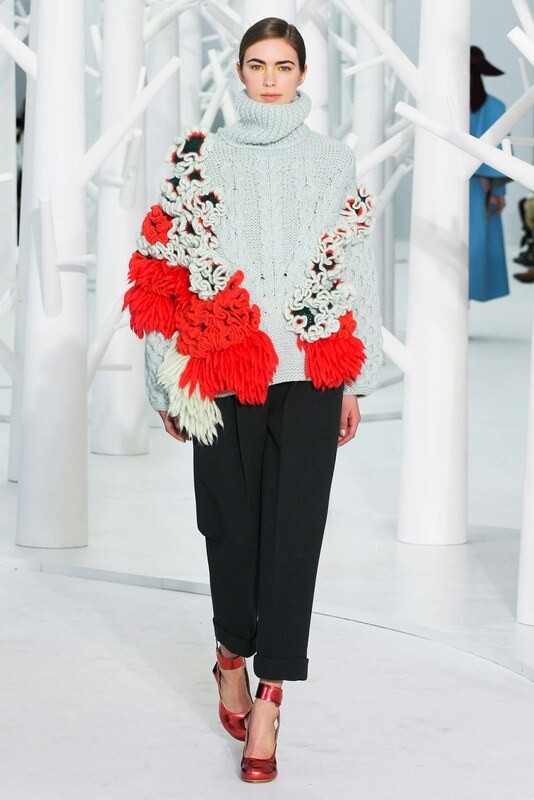 Would be smashing over boots with a vibrant cashmere scarf. 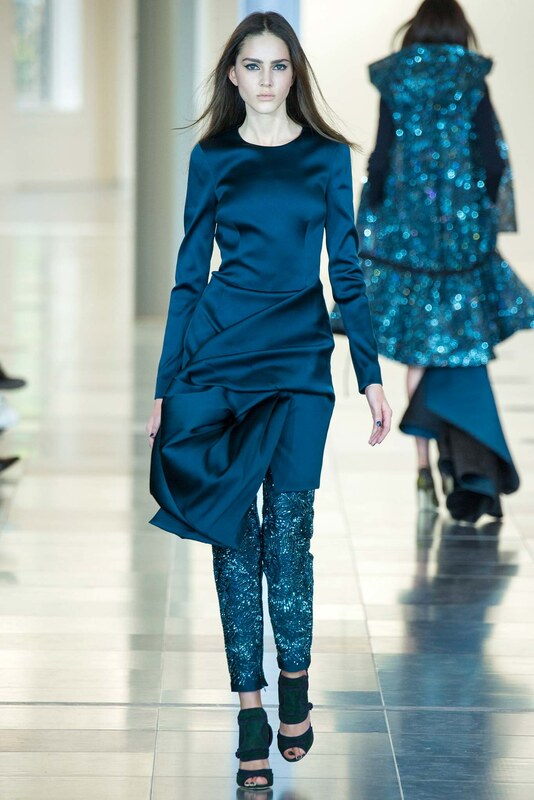 A smoking hot tunic dress composed of duchesse satin in a luscious blue, matched with cigarette pants, a wondrous duo. No skin is showing, and yet, incredibly alluring. When cleavage patrol is not an option. Blue velvet jacket with big lapels and Zodiac embellishments, what's not to like?……..tried this bad boy on at Neiman Marcus, definitely a winner. Liberace is in the house. I say the MORE flamboyant, the better! And my obsession with this ravishing collection continues unabated, and for good reason…….royal purple velvet with a legion of embellishments….. I've been in love with Dries for a hundred years…..I love his perpetual admixture of contrasting themes, with the regal and the casual. Reasonable price points in the scheme of things, might I add. What an enthralling collection with a curious jumble of military, Victorian saloon, and Nanook of the North. The jodhpurs and some riding boots would be solid scaffolding for any ensemble you might imagine. Add an equestrian jacket or a big sweater. Everyone needs a moto jacket in their closet, its an all purpose friend for varied occasions. Embellishments add whimsy and temper the grit factor. Akris did the Pagoda skirt proud in this hip collection. I love a fitted dress or tunic with a flared skirt. And the leather goods are as soft and supple as they come. If you're going to go black on black, this is the way to do it----mix lengths and textiles for maximal visual interest. This clothing is IMPECCABLE and comfortable. Win-win. And don't get me started on those thigh high boots. A shirt, a dress, a tunic……..throw over leggings or tuxedo pants. Check out the pearl festooned sleeves. Elizabethan chic. L O V E.
And the Victorian theme continues……..a dark and moody yet elegant collection rife with satins and velvets. Perfect for evenings out and the random soiree. 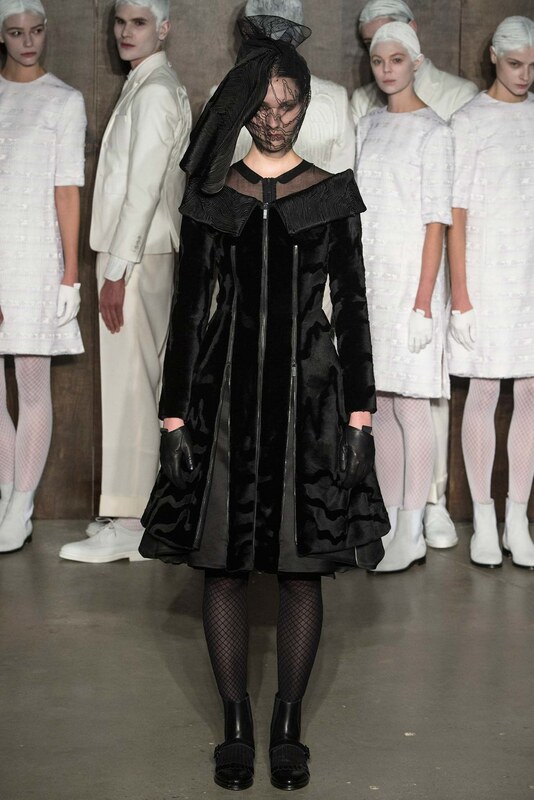 Goth, Grace Kelly and school girl rolled into one engaging ensemble. 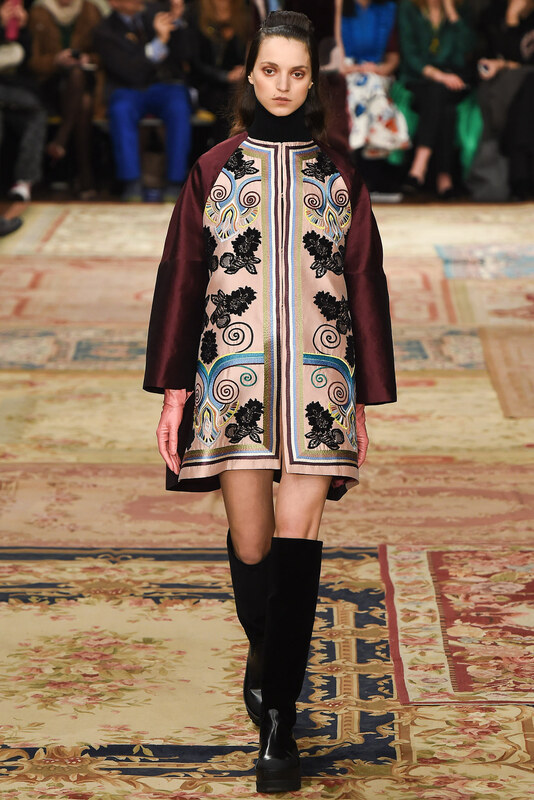 The PIECE de la RESISTANCE of the fall winter runways……….I got my mitts on this at Saks the other day and I think I swooned. Miles of off white and black grosgrain ribbons rendered into whimsical embellishments along the fit and flare silhouette, with a detachable shearling collar and wide shearling band along the hem. Weighed about 15 pounds……latter day Dr. Zhivago. Get out the horse drawn carriage and the handsome mustachioed gentleman! 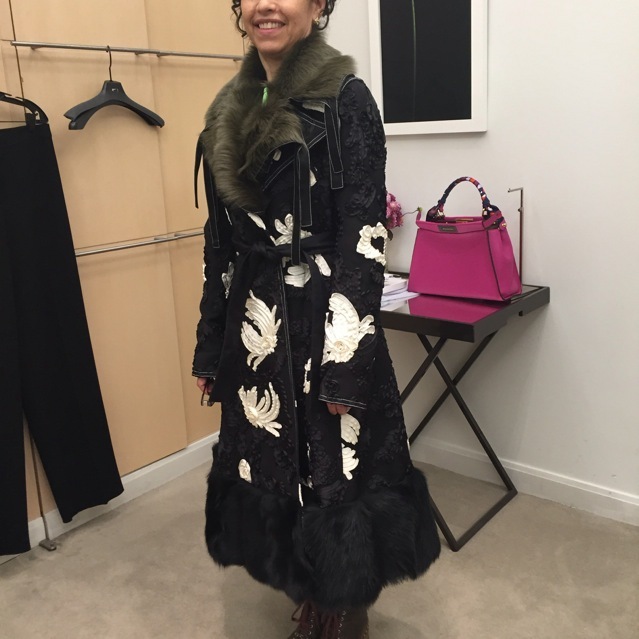 (Thanks to Joanna Haber at Saks for extracting this treasure from the mannequin and for taking the photo!). And by the way, that fuchsia purse in the background is FENDI. And the shopping expedition continues! Simply desire to say your article is as amazing. The clarity in your post is just nice and i can assume you're an expert on this subject. Fine with your permission let me to grab your RSS feed to keep updated with forthcoming post. Thanks a million and please continue the enjoyable work. Thanks so much, I really appreciate your kind words! You certainly have my permission to grab the RSS feed and stay updated! Cheers!